This information was revealed in Wikimedia Foundation's transparency report on removal requests. The photographer who owned the camera and who rotated and cropped the image had requested its removal on claims that he owns the copyright. 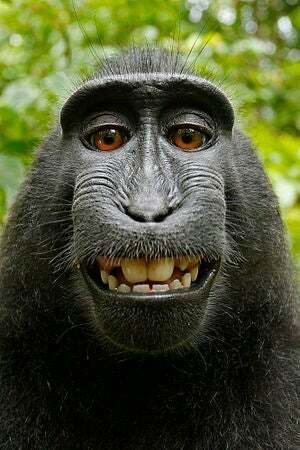 Wikimedia disagrees, and states that monkey take picture, monkey own copyright. As one would hope, informal requests were denied while they complied with all criminal subpoenas. ETA: In addition, Wikimedia has also held a press conference revealing all the links removed in accordance to European "right to be forgotten" ruling. I'm still on the fence on the right to be forgotten, and tend to think that there should be more guidelines and not left up to the companies to decide what's a worthwhile request. Either way, I appreciate Wikimedia taking a stand, and making this information known.